Jax joined the MK playable characters roster with Mortal Kombat II, in 1993. Real Name: Major Jax Briggs. Other Aliases: The Strongest Man on Earth. Group Affiliation: The Chosen, US Army. Base Of Operations: Washington DC. Major Jax Briggs is a military man. Thus, he is skilled in many military operations as well as military intelligence and armed and unarmed combat. After having replaced his arms with bionic arms Jax has become a powerful combat machine capable of incapacitating the strongest of opponents. His main resource is his physical strength, but his arms can also fire short-ranged missiles. Jax, Major in the American army, became involved in the Mortal Kombat Tournament when he was sent to find Lieutenant Sonya who was lost after a Mortal Kombat Tournament. Apparently he was one of the Chosen, survived the tournament, found her and all was well for a while. Jax had, however, some indications that the forces of the Outworld would soon attack the Earth again. He told his superiors of this threat. He failed to convince them of the coming threat and then wanted to make sure he was well prepared for the assault, he replaced his arms with a pair of powerful bionic arms. He survived the assault and began investigating the Outworld in a government-led team. Eventually he ended up again in another Mortal Kombat Tournament when the Earth was again attacked by a new leader from the Outworlds. Major Jax Briggs is a very dedicated and strong black man. In combat he wears nothing but a pair of boots and military trousers. Given his physique, that makes him project a physically powerful impression. Jax personality is that of a brush and hard military man. He seems to have a one-track mind which for the moment is dedicated to bringing down the forces of the Outworld. Later on he used this dedication for investigating the same and dangerous Outworlds. He enjoys having a great strength and focuses all his energy against fighting the forces of the Outworld. He even replaced his arms with more powerful bionic arms to be able to fight better which tells a lot about his determination. Jax cares about his friend Lieutenant Sonya for which he would risk his life to save. Jax is at his best in a strictly Mortal Kombat-based Campaign. Completely forfeiting all automatic actions during a round Jax may fire his Projectile Weapons twice at once adding 1 AP to both the AV and EV of the attack. Jax’s arms are bionic and have a Body of 12 APs. Earth Control power cannot be used for blinding attacks or moving earth, but only to simulate the ranged ’Earthquake Punch‘ which uses power AP levels as AV/EV vs the opponent’s DEX/BODY as OV/RVs. Growth and Omni-arms powers are both subject to the normal ’Mortal Kombat Rules’ (see below). The Chosen (High), Outerworld Investigation Agency (High), Sonya (High), US Army (Low). Before the fatality takes effect the character has to stand around concentrating a whole round first, during which dodging is not possible at all (OV = 0) ; if any damage is sustained during this round, then concentration is broken and the fatality fails to occur. Success indicates the fatality is successful and the user takes the mystical bashing damage associated with the use of the Sorcery power. During all fights a lot of different combat maneuvers are used and HP expenditure is extremely common. 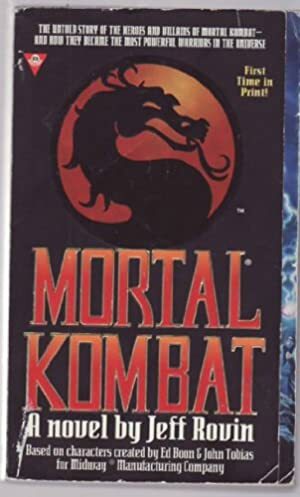 Source of Character: Mortal Kombat (II, III & IV) Games.